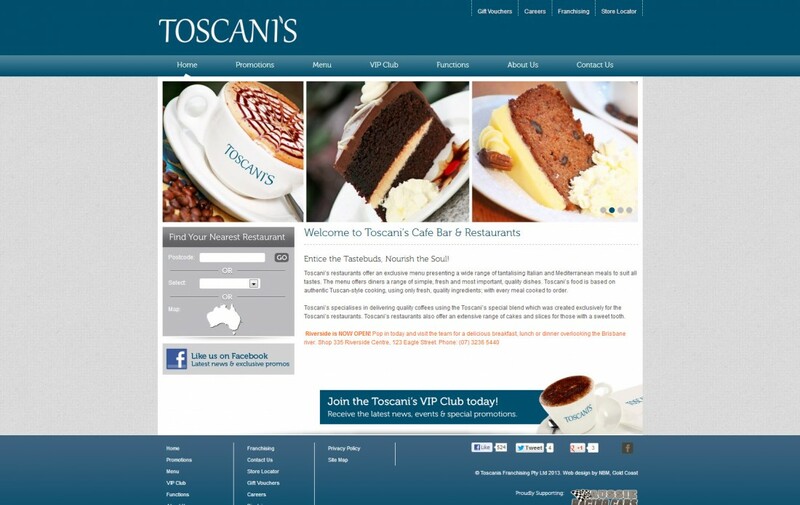 This popular café bar and restaurant’s website allows its customers to indulge in the Toscani’s experience from the comfort of their home. 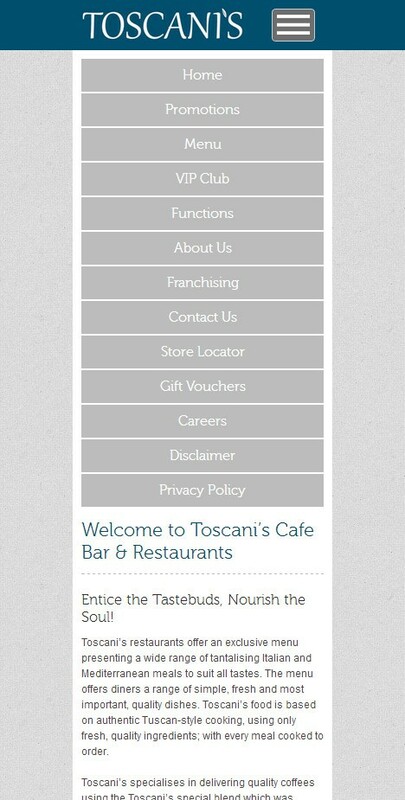 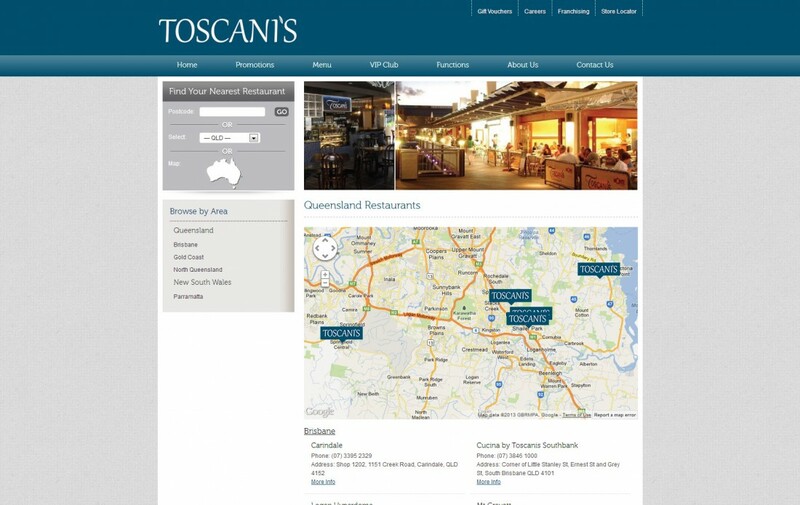 With features including downloadable menus, restaurant locator, VIP club and more, this site captures Toscani’s passion for fine food and service. 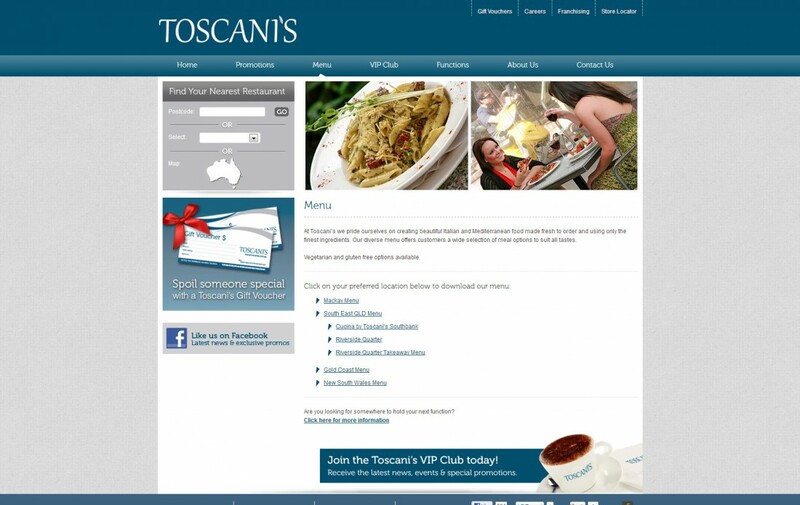 Purchase a gift voucher online or link social media profiles to leave feedback, this website has it all.